Left: Wilhelm II en dragoon uniform. 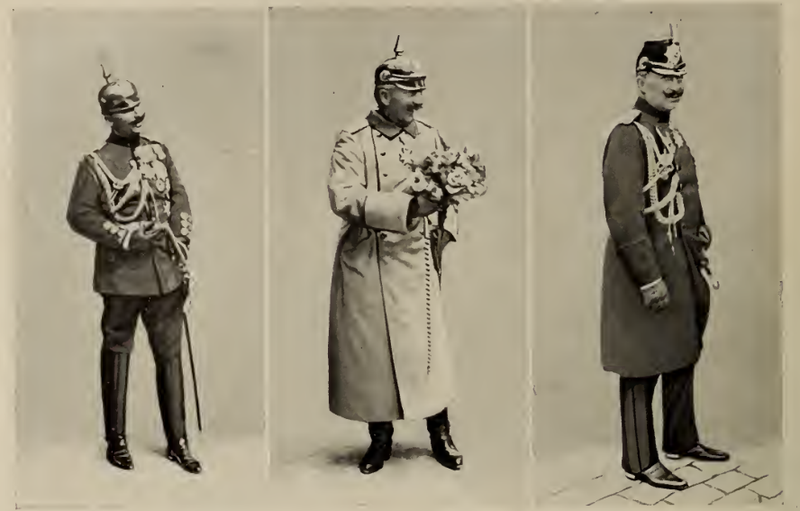 Middle: Wilhelm II as a general. 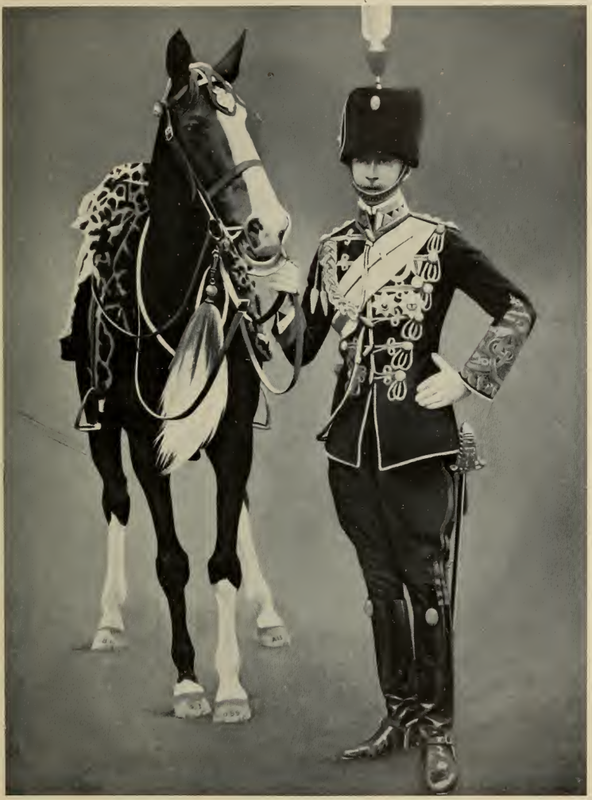 Right: Wilhelm II dressed as a chasseur of the guard. Left: Wilhelm II in field marshal uniform. 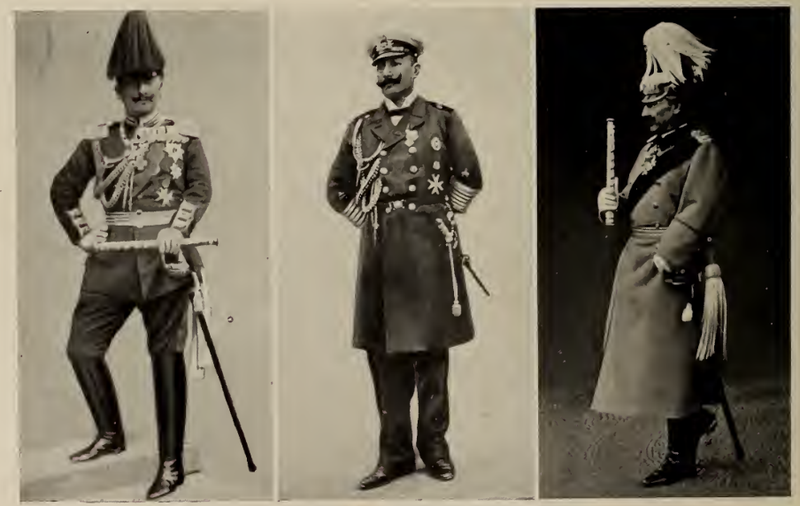 Middle: Wilhelm II in admiral uniform. 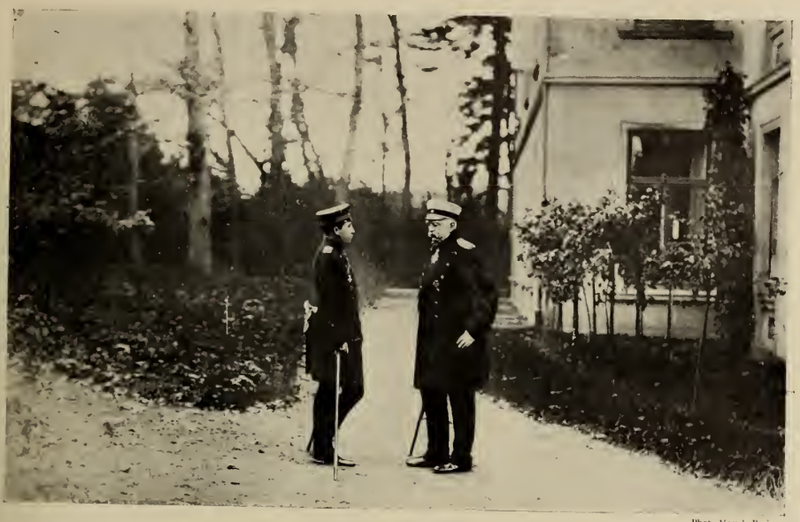 Right: Wilhelm II in uniform of the guard. The Master and Pupil at the property of Bismarck in Varzin. The Prince Bismarck to whom the German Empire owes its restoration and the young Crown Prince Wilhelm, who perfected the structure. At the Reichstag. 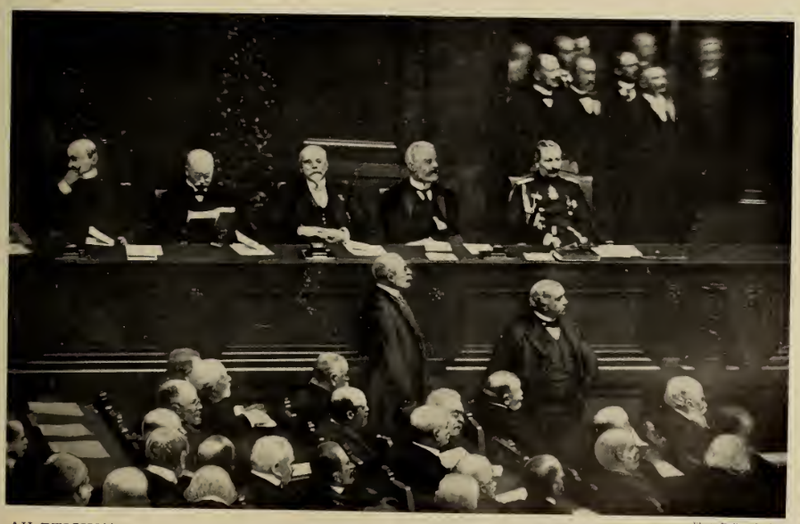 - The parliamentary system in Germany is a fiction rather than a reality and the Reichstag must, willingly or unwillingly, carry out the will of the Kaiser. 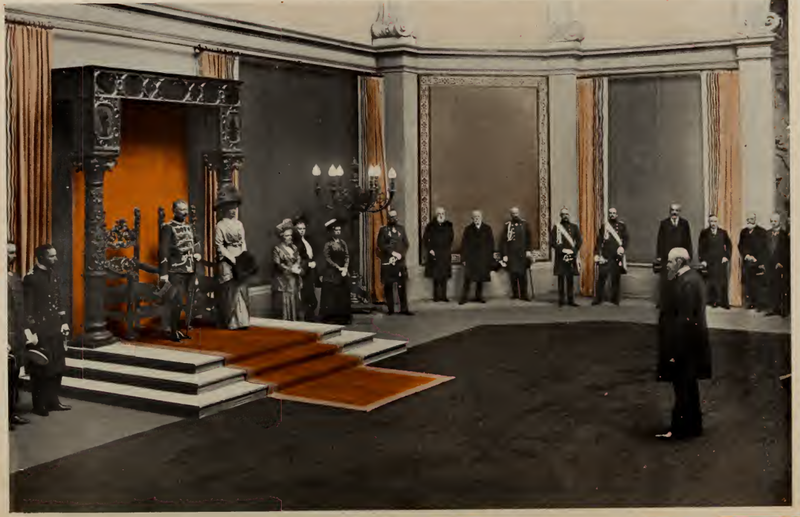 The most recent photograph of the Kaiser and the Empress at the opening of the Great Exhibition in Berlin, during the homage given by the Minister of Public Instruction. 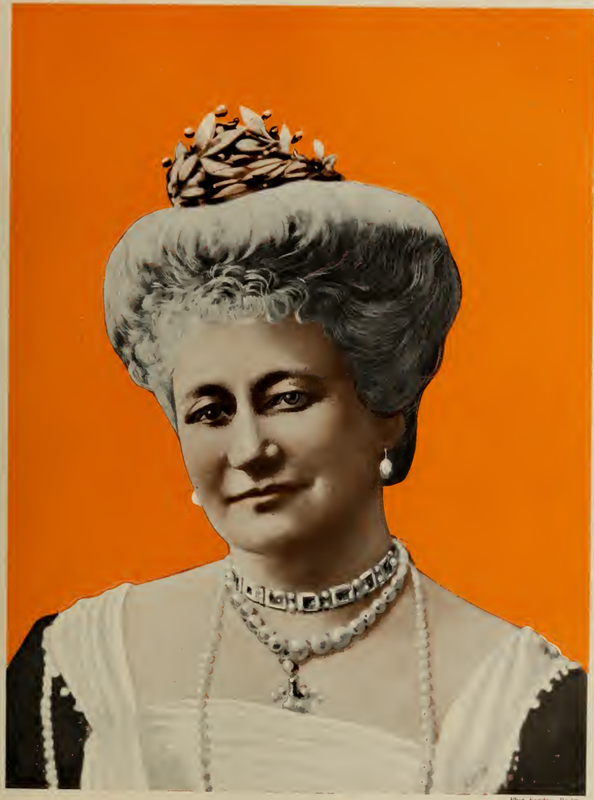 The Kaiserin (empress), more attached to her duty as a wife and mother than the court ceremonies, has won the favor of the German people by her kindness and simplicity. 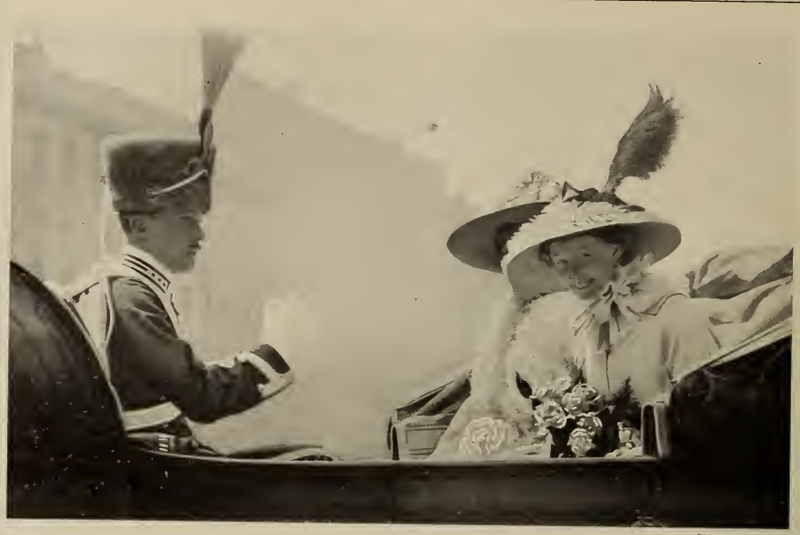 Left: Prince Eitel, second son of the Kaiser. 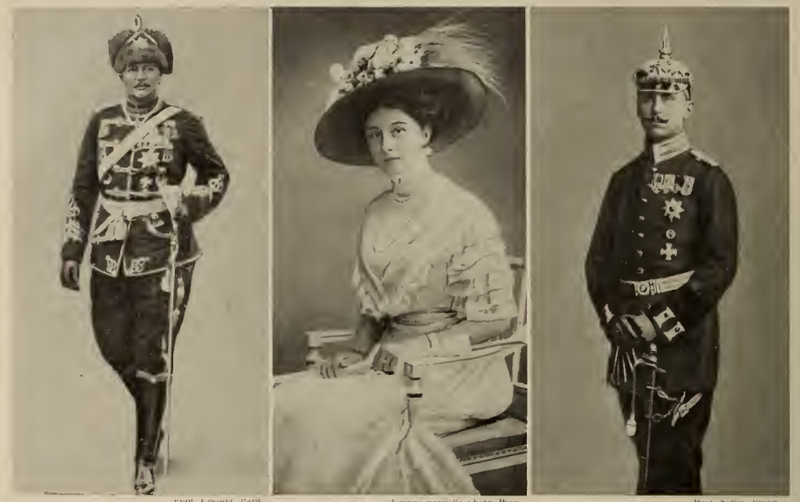 Middle: Princess Victoria, the Kaiser's only daughter. Right: Prince Oskar, the Kaiser's fifth son. Left: Prince August, fourth son of the Kaiser. 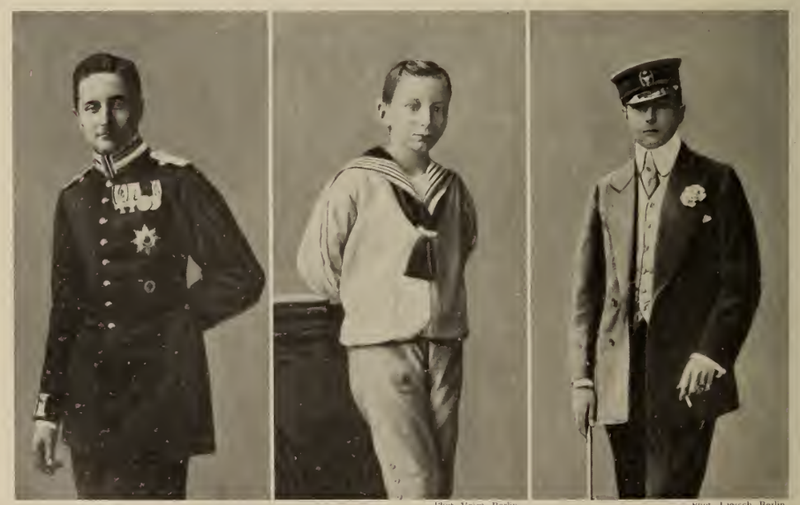 Middle: Prince Joachim, sixth son of the Kaiser. Right: Prince Adalbert, the Kaiser's third son. The crown prince, born in 1882, married the princess Cecille of Mecklembourg. He seems to be the hope of the military and warrior party, and holds vast ambitions. The marriage of Princess Victoria Louise with the Duke of Cumberland sealed the reconciliation of the House of Hanover with the Hohenzollern, who had stripped it of its estates.